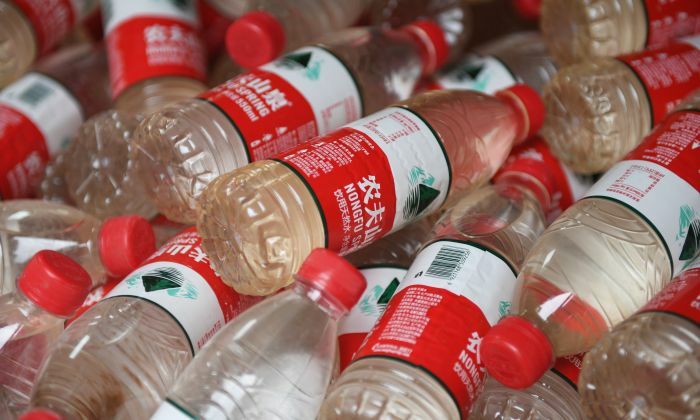 An elderly Chinese woman got sick and died after drinking a bottle of water that was given to her by authorities at a local police station in Xiangshan District, Guilin City. Some suspect that the water was poisoned. Tang Xiaoyan died at the age of 69. She was arrested and detained multiple times because she refused to give up her faith. She came from a family of scholars in Guilin of southern China’s Guangxi Province. Her death brought endless grief to her family. Tang is not the only Falun Gong adherent who was sickened and died from being poisoned while incarcerated. There were other victims. Tang came from an intellectual family. Her father was a physicist and vice president of Guangxi Normal University. Other prominent relatives include He Fuzhao, former chief bridge designer of China’s Ministry of Transportation, and He Fuxi, a metallurgical expert. Tang was very smart but she suffered from physical ailments at a young age. She suffered from anemia, endometriosis, ovarian cysts, diabetes, malnutrition, and other illnesses. A relative introduced the meditation practice Falun Gong to Tang in the late 1990s after hearing about the health benefits. After she started practicing, most of her illnesses were eventually healed. Falun Gong, also known as Falun Dafa, is a spiritual practice based on the moral teachings of truthfulness, compassion, and tolerance. It was once promoted and praised by the Chinese Communist Party, after millions of Chinese improved their physical and mental health upon taking up the practice. But as Falun Gong’s popularity grew—official estimates of roughly 100 million by 1999—then-Party leader Jiang Zemin feared that it would undermine the Party’s authority. On July 20, 1999, Jiang ordered a nationwide persecution of Falun Gong practitioners. Hundreds of thousands have been arrested and detained in prisons, labor camps, brainwashing centers, and other facilities. They are often tortured in an effort to coerce them into giving up their faith. According to a March 15 report by Minghui.org, a U.S.-based website dedicated to documenting the persecution of Falun Gong in China, details are only now emerging of how Tang died in March 2017 after celebrating the Chinese New Year. Two days before her death, Tang suddenly had symptoms of diarrhea. Several hours later, she fell unconscious. Tang’s family sent her to the hospital for emergency treatment. But it was too late. Tang passed away two days later due to organ failure. After Tang’s death, her family refused to comment. They have kept silent until now. According to the Minghui.org report, her friends and relatives claim that Tang died from the effects of drinking a bottle of water that police gave her in August 2015 while she was detained. On May 1, 2015, China’s highest court, the Supreme People’s Court, launched a new policy of “filing all cases, and processing of all complaints”—allowing citizens to file against any Party official, regardless of rank. When Tang heard this news, she decided to file a lawsuit against Jiang. Tang had been detained several times since 1999 for her faith. Because she believed she was wrongfully detained, she decided to file the complaint. Tang prepared her case and mailed her paperwork to the supreme court and the supreme procuratorate, the country’s highest prosecutor’s office. However, the supreme court refused to file Tang’s complaint. Instead, the local police arranged to detain her. On Aug. 28, 2015, local authorities took Tang from her house and brought her to the Xiangshan District police station. After she was released, Tang told family and friends that a police officer slammed her head hard against the wall, and also hurt the ligament of her arms during the process. Tang said that she then was sent into the national security office of the police station. While she was there, the national security agent gave Tang a bottle of water. Tang was thirsty and drank from it. She suddenly came down with a painful headache and even banged her head against the wall to release the pain. Then, Tang lost consciousness. Tang later regained consciousness but was very thirsty. She tried to drink more water from the bottle, but was stopped by a police who was beside her. The police told her: “Don’t drink any more, don’t drink!” Then he took the water away. Tang remained at the detention center as police prepared documents to indict Tang for breaking the law. The court rejected the case due to lack of evidence. Tang was then released, but by then, she was in poor health. At home, Tang’s health continued to deteriorate. She started to lose her memory, slept a lot, and could not control her bowel movements. Several months later, she started to lose her hearing and eventually, her vision. Tang’s case is not an isolated incident. Minghui.org documented many Falun Gong practitioners who suffered from similar ailments. Feng Juan, 67, a retired woman from Foshan City of Guangdong Province, was detained at the Sanshui Brainwashing Center in April 2017. According to a Minghui report, on the tenth day of being detained, Feng started vomiting and had diarrhea. She was then released. After two months, a doctor announced that all her organs have started failing. Feng said she suspected the food she consumed at the brainwashing center was poisoned. She died in October 2017. Zhao Bing, 30, from Linghai City of Liaoning Province, became mentally disoriented after she ate a bowl of noodles that was given to her by police in 2009. According to Minghui’s report, early morning on April 17, 2009, police took away Zhao’s family as they were sleeping. They were abused by police for a whole day until midnight at the police station. The family was very hungry, as they had not been given any food all day. At night, the police brought four bowls of noodles, one for each family member. Wei Xiuying, the mother, ate about one-third of the noodles. She stopped eating after she felt the noodles tasted strange. Zhao ate the whole bowl of noodles. Zhao’s father and older sister did not eat because they did not feel well after being abused for the whole day. Several hours later, Wei had a headache and started to vomit. She was sentenced to prison for five years because she refused to give up her belief in Falun Gong. Zhao was sent home, along with her father and sister. But she has been mentally ill since then. Zhao stays in her room all day and does not allow anyone to enter. Every day, her father has to place her meal on the windowsill, but Zhao would not even come out of her room to eat. Zhao refused to take a shower or wash her face.